Manning Town Centre>News and Events>General>INVITE: Family Friendly Fun – October 27th! 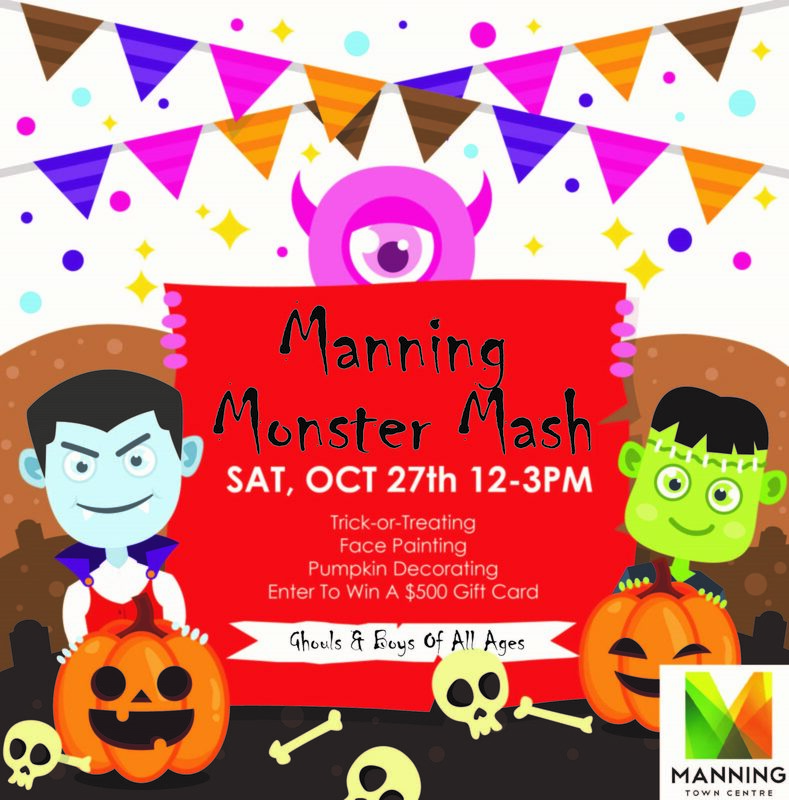 Manning Town Centre is excited to invite you to the falloween event of the season – Manning Monster Mash! Drop by any time during 12-3pm on Saturday, October 27th for activities that the whole family would enjoy. Plus, enter to win a $500 gift card!